This week saw the close of the Green Dragon Pub in Flaunden. It is rumoured to have been bought by a local and will re-open in the new year with a new owner and manager. Lets hope they don’t change it too dramatically. 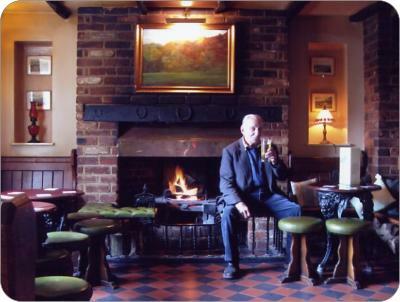 The Green Dragon is located in the rural idyll that is Flaunden, a picturesque village on the Chiltern Hills where south-west Hertfordshire meets Buckinghamshire. You will find Flaunden deep within a triangle formed by Chesham, Hemel Hempstead and Watford. And, as centuries-old tradition dictates, you’ll find The Dragon – as it is affectionately known locally – virtually adjacent to the village Church of St Mary Magdaline.